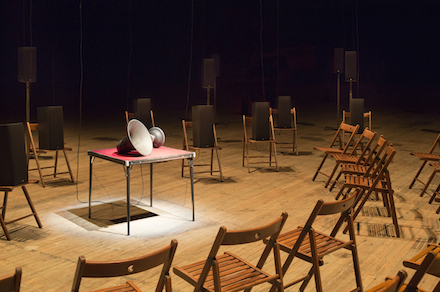 Installation view of The Murder of Crows (2008) at The Park Avenue Armory. Photo credit James Ewing. 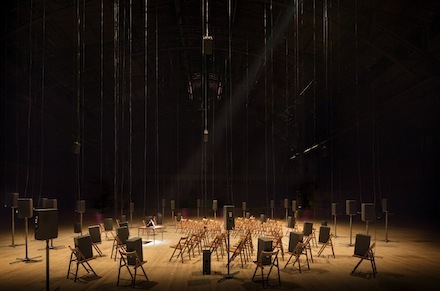 Janet Cardiff and George Bures Miller’s The Murder of Crows (2008), a multidimensional installation from the Thyssen-Bornemisza Art Contemporary Collection, Madrid, is on view at the Park Avenue Armory through September 9, and uses the venue’s massive facility to maximum dramatic effect. Known for their collaborative aural projects, as well as Cardiff’s own celebrated 40-Part Motet (2001), the Berlin- and Canada-based Cardiff/Bures Miller team produced this current work, their largest to date, at a watershed personal moment in their lives: 6 months spent in Katmandu, Nepal, attempting to adopt their daughter Aradhana, now 5. The loftiness and uncertainty of this time are expertly translated into this work, whose 98 separate speakers literally envelop the viewer and recount a “sound play.” Based on Cardiff’s own dreams, with inspiration from Goya’s The Sleep of Reason Produces Monsters (1799, from the etching series “Los Caprichos), this “play” is a mesmerizing feat that effectively conveys the sublime breadth of human nature – its nightmarish weaknesses and divine abilities. Entering the giant drill hall, one becomes overwhelmed by the intense combination of sound and space that propels the work’s power. 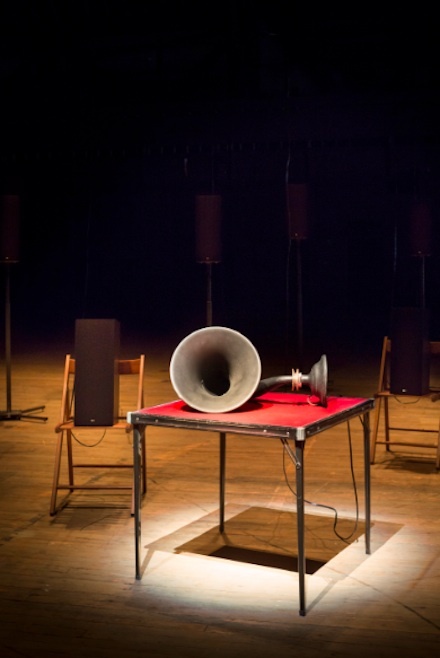 The dark hall is lit only at the center, where a half-circle of chairs surrounds a table on which lies a gramophone horn – Cardiff’s own “mouthpiece,” spewing the surrealist narrative that forms the backbone of the project. Further surrounding this island of light are the 98 human-sized speakers, forming an array of enigmatic figures that roll out into the darkness. Importantly, each speaker is rigged to emit a particular, distinct aspect of the work’s audio component. For example during a particular orchestral piece, each voice was singularly attached to one speaker. The effect of this is wholly sculptural – the sound itself becomes a three-dimensional medium.Three separate chapters form Cardiff’s dream narrative, with songs and sounds weaving through all, delineating the composition’s distinct realms. The dreams themselves are filled with weighty sensory allusions, and the places and things described are interchangeably physical and psychological. Paired with the immediate sensory effects of the space, light and sound further affecting the viewer, he is literally swept up into a fourth dimension that is at once exceptionally foreign and uncannily familiar. Considered with Goya’s work, The Murder of Crows becomes a philosophical musing on the oxymoronic nature of humanity. Like the dreamer in Goya’s etching, Cardiff’s own mental world is here filled with violent, terrifying fantasies, and her personal experience speaks to a more universal one – humanity’s inner life, itself fraught with nightmarish visions, fears and desires. In this way, a discussion of the nature of evil arises, and its complexities and origins are explored. Despite the work’s inherent conceptual ugliness, its utter beauty is breathtaking. The experience of the Armory’s massive space, shaped by the aesthetic and aural chiaroscuro of Cardiff and Bures Miller’s epic work, is highly spiritual, even sacred. With this, the other end of humanity’s broad spectrum is demonstrated; The Murder of Crows is thus an elegy to humanity’s dark passions, as well as an answer to them. Indeed, the work’s title – the English word for a flock of crows – alludes to the natural phenomenon of a “crow funeral,” during which a flock will “mourn” a deceased member by cawing together for 24 hours. With this work, then, Cardiff and Bures Miller bear beautiful witness to man’s faults, and in doing so offer us a means of sublime salvation. 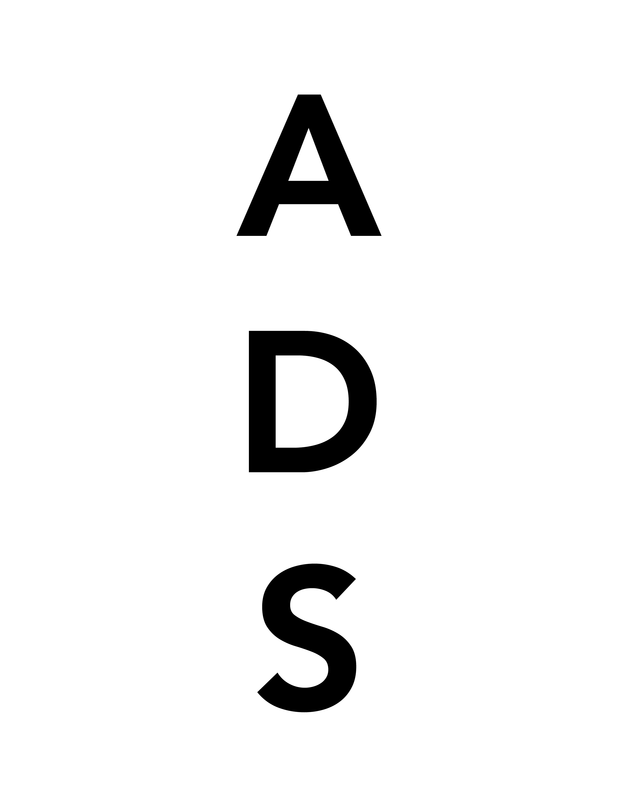 This entry was posted on Sunday, September 2nd, 2012 at 9:57 pm	and is filed under AO On Site, Art News. You can follow any responses to this entry through the RSS 2.0 feed. You can leave a response, or trackback from your own site.